I placed an order from RoseRoseShop a few weeks ago but I finally received my package this week! So as promised I will be sharing what I ordered with you and give you a mini review on RoseRoseShop. RoseRoseShop, if you didn't know first started as an Ebay shop but as their sales progressed they decided to open an actual website. 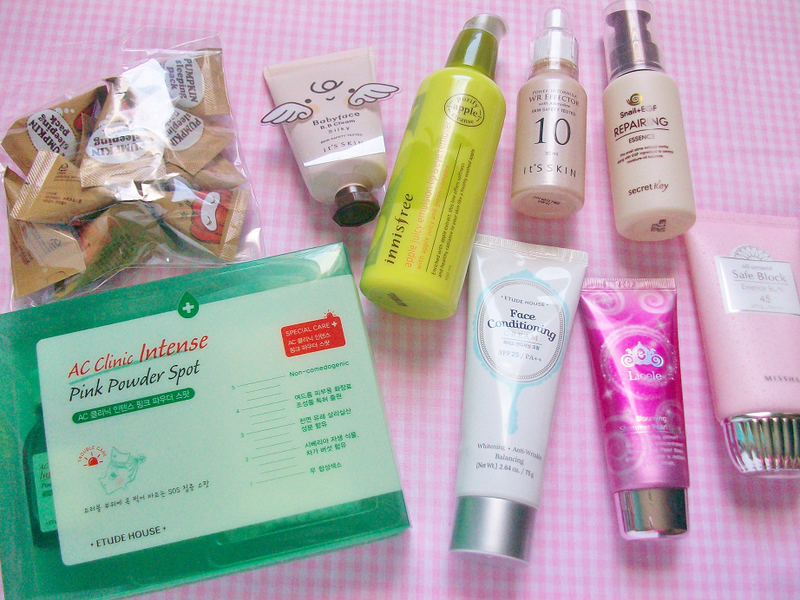 They offer a variety of Korean brands and products. Some of these items are actually a lot cheaper on the website but the shipping does cost a lot more but if you calculate right you can still save a lot of money. I first placed my order on October 12, my order was shipped on October 20 and I received my package on November 3. There was one item that I didn't get because it was out of stock but they messaged me and refunded me my money on that product. I would totally ordered from RoseRoseShop again! I get blemishes on my face from time to time so a good spot treatment is a skincare must! 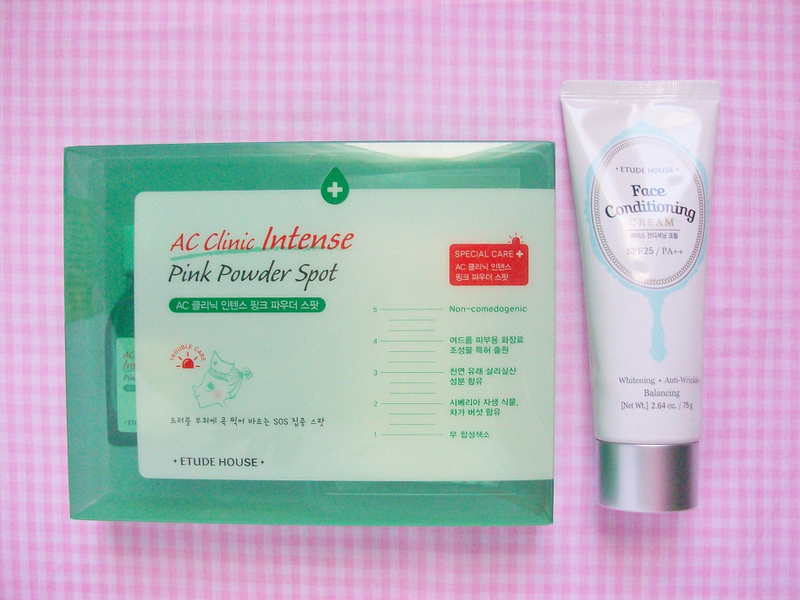 Etude House's AC Clinic Intense Pink Powder is one of Etude House most raved about products so I decided to check it out for myself to see if it actually works or not. I will let you guys if I see a reduced amount of pimples on meh face. 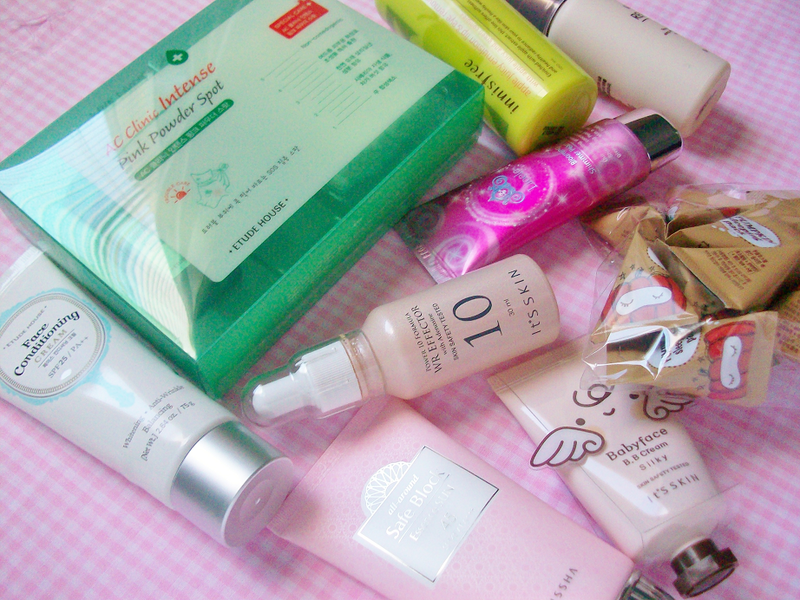 Like I mentioned in my Korean beauty wishlist I am on a look out for a good moisturizer. This cream by Etude House really intrigued me but when I was researching this product a lot of people say they used it as a primer before putting on their makeup a but I just plan on using it as a cream, guess I will have to see if this can live up to it's name. Pumpkin is suppose to be really healthy for your skin. So when I saw these cute samples of a pumpkin sleeping mask I had to get them! 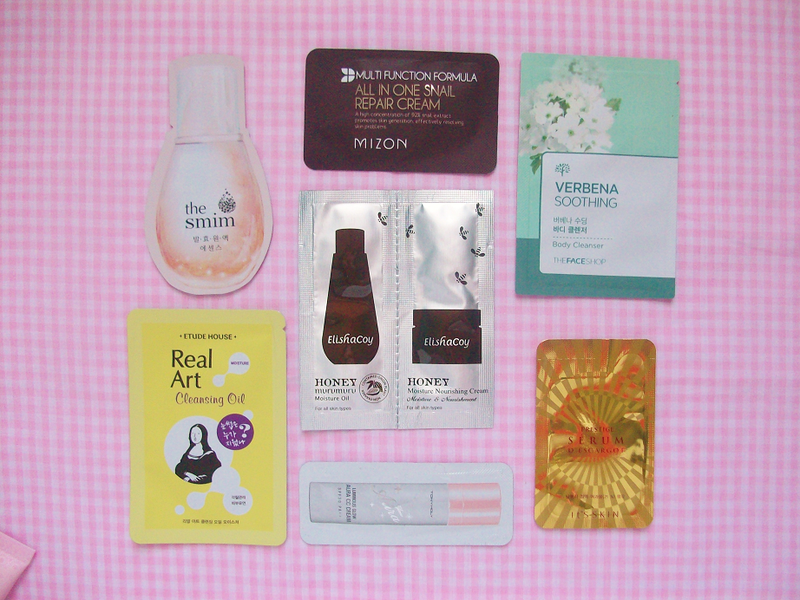 You simply apply one of these packets to your face and sleep with it! In the morning you wake up with radiant skin! I am not the biggest fan of using cleansing cloths but I use them to wipe off my makeup at night because its the easiest way to remove makeup. However now I have this emulsion that takes off all your makeup! No longer do I have to tug and pull at my face to get rid of my makeup. I had made a mental note to order this essence but I'm not sure why maybe because I read something interesting online or something. I never thought I would use something on my face with the word "snail" on the bottle but I'm open to anything as long as it makes my skin look amazing. 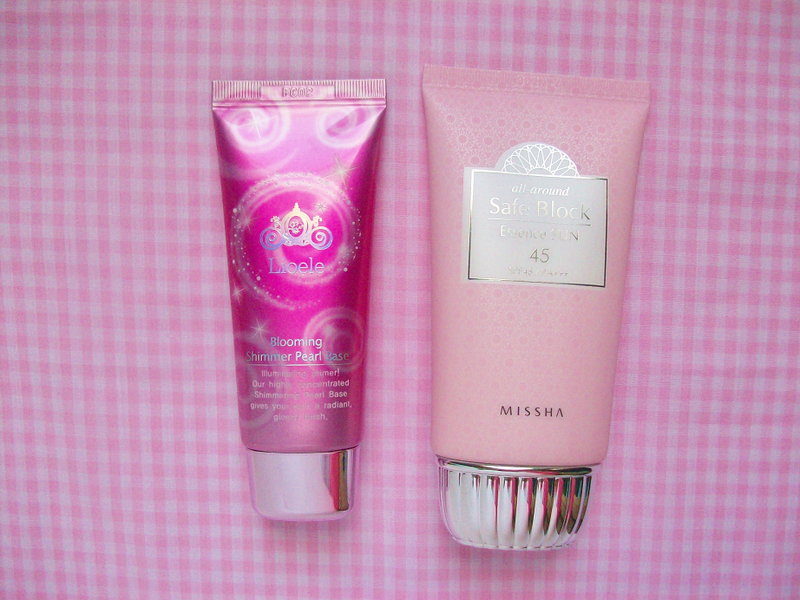 Previously mentioned in my October beauty favorites. 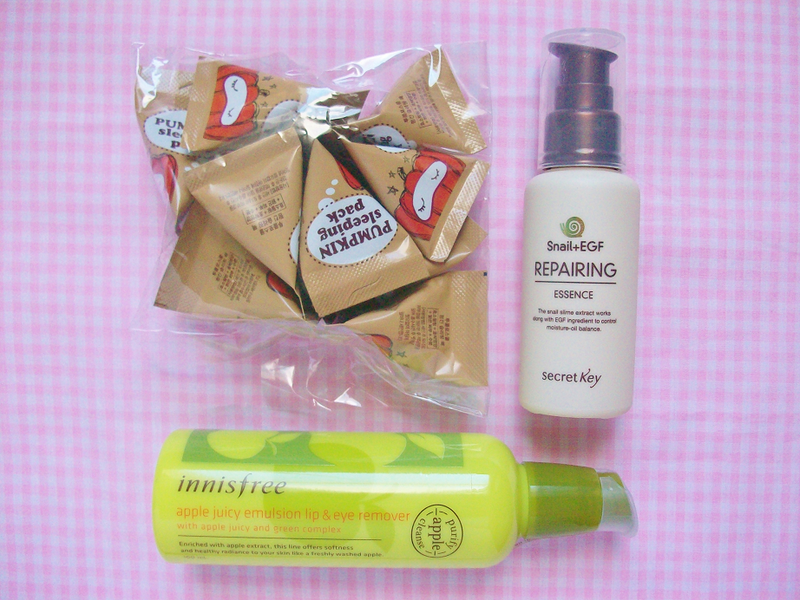 I wanted a shimmery primer to help my skin get a glowing lustrous look in time for autumn/winter. The only sunscreens I've used before have all been from the states so I thought I would use a Korean sunscreen to see how it differs from western sun creams. Plus, the bottle is so cute and you guys know what a sucker I am for cute packaging! 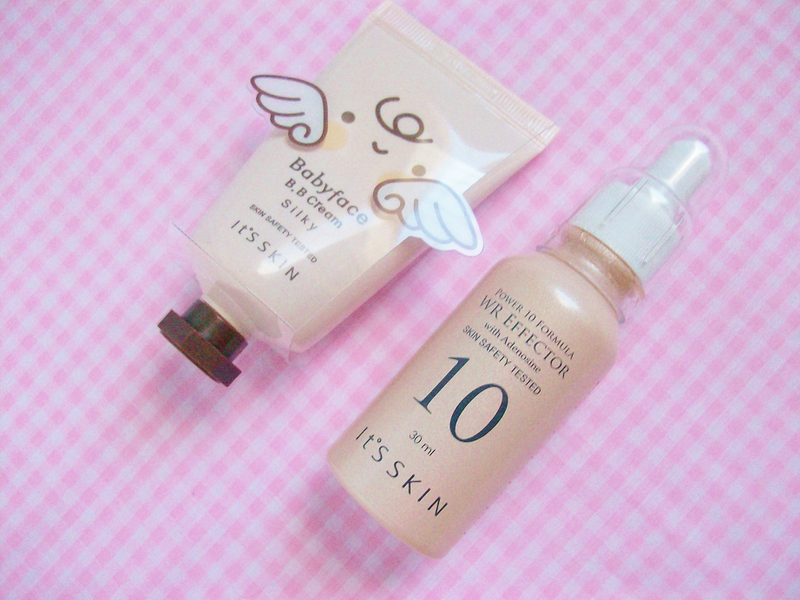 This BB cream also sold me on the packaging, it's so adorable! I've tried a few products from It's Skin before and I must say I'm quite a fan! I have high expectations for this BB cream. Another product I got from It's Skin is this ampoule. It's Skin offers a variety of these bottles for different needs, there is literally one for any skincare need you could think of! I decided to get the wrinkle one because I want to prevent any wrinkles before they start forming. These are the samples that came with my orders. I especially can't wait to use the Etude House Real Art Cleansing Oil! 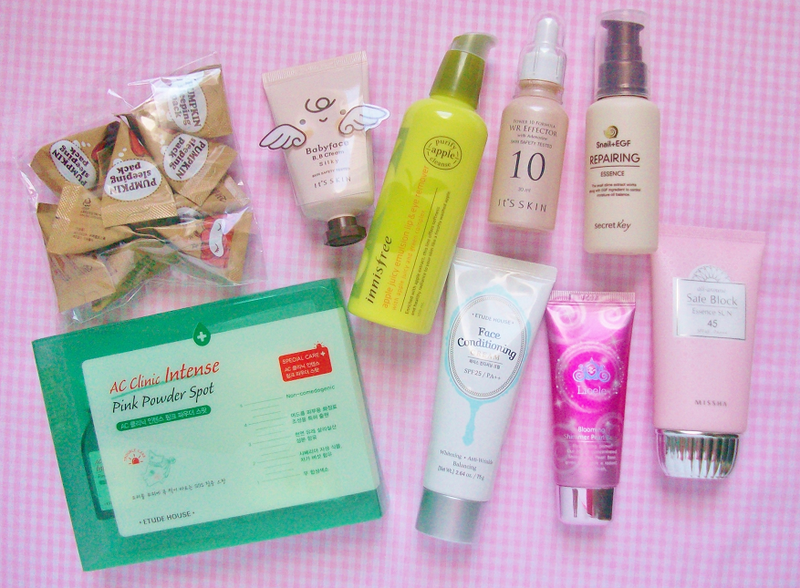 Which of these products do you want me to review?